There are a host of indigenous Japanese brands seemingly unconcerned with marketing themselves outside their home country. Bohemians is one such brand. With no retailer in the UK, or the US, or in Europe as far as I can make out, its weirdo, print and embellishment-heavy output is tough to get hold of. Which leaves us gawping at websites, scanning writing we don’t understand, wondering if (outside the digital realm, and beyond their Japanese context) such garments would work on a British street? Just because something’s really difficult to get hold of, is its coolness automatically elevated? 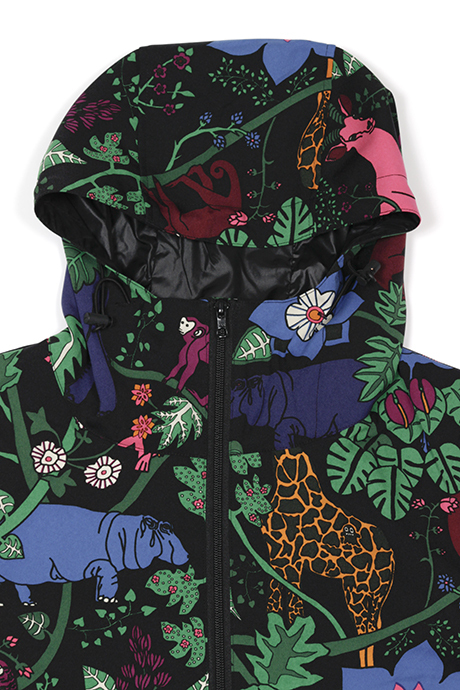 Or would this jungle print cagoule just make you look like a fun gran? 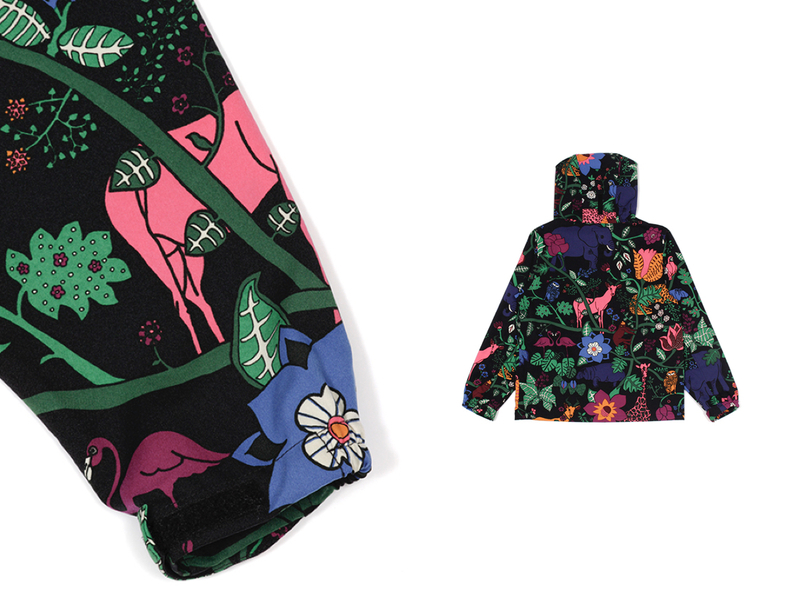 It offers a double zip and is made of quick drying polyester, detail-wise, that’s about your lot. But let’s be honest, no one would consider this for its utilitarian promise. You’re either drawn to the idea of looking like a day out at Drayton Manor or you’re not. You can grab this over at Chicken Shack, or direct from Bohemians and I think, maybe as an under-jacket (under something plain obviously) this could bring some heat. 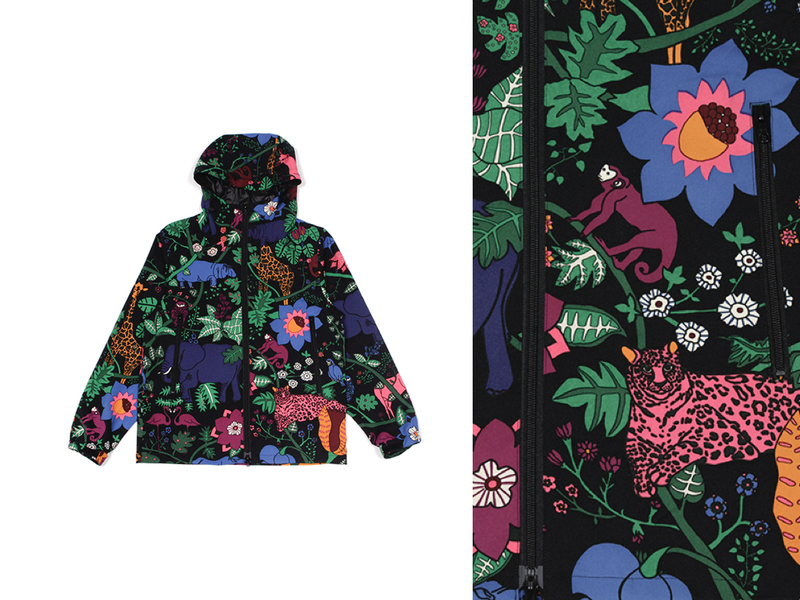 Although, to be fair I bought an insanely printed cagoule (giant flowers and bees print) from Albam some years ago and I’ve worn it twice. On both occasions I felt like a prize clown. So, what do I know.